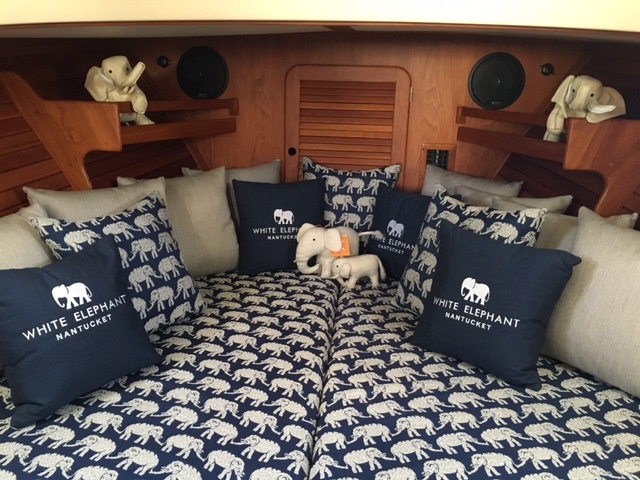 The 36-foot classic yacht is clad in navy, white, and elephant-printed fabric, mirroring the interior design of the White Elephant. 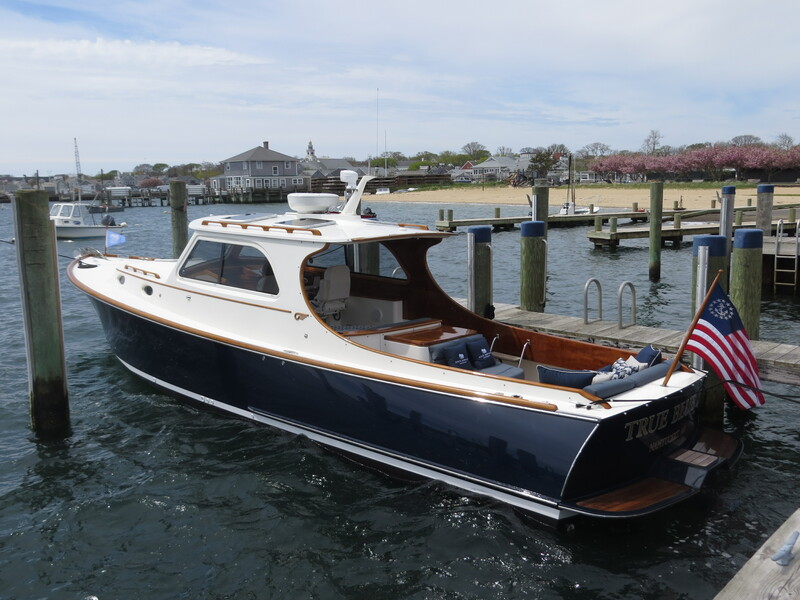 Features also include teak decks and mahogany trim in the interior. 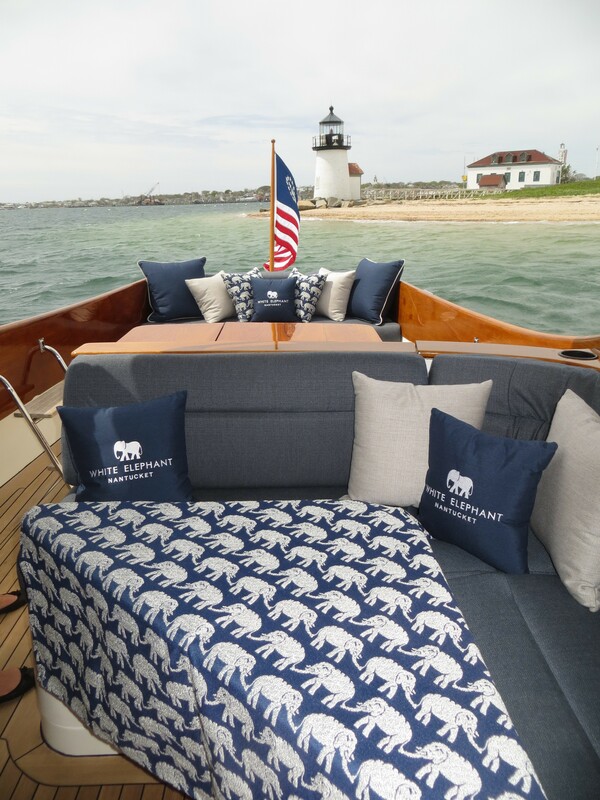 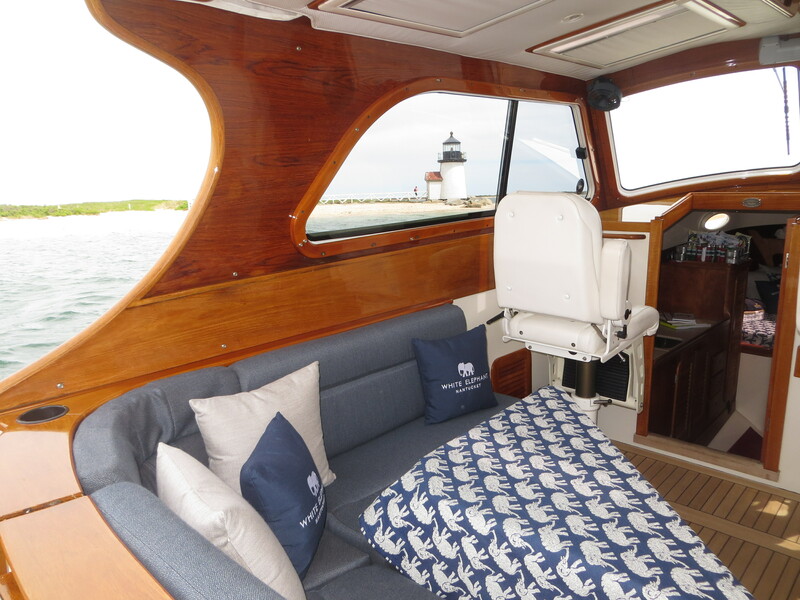 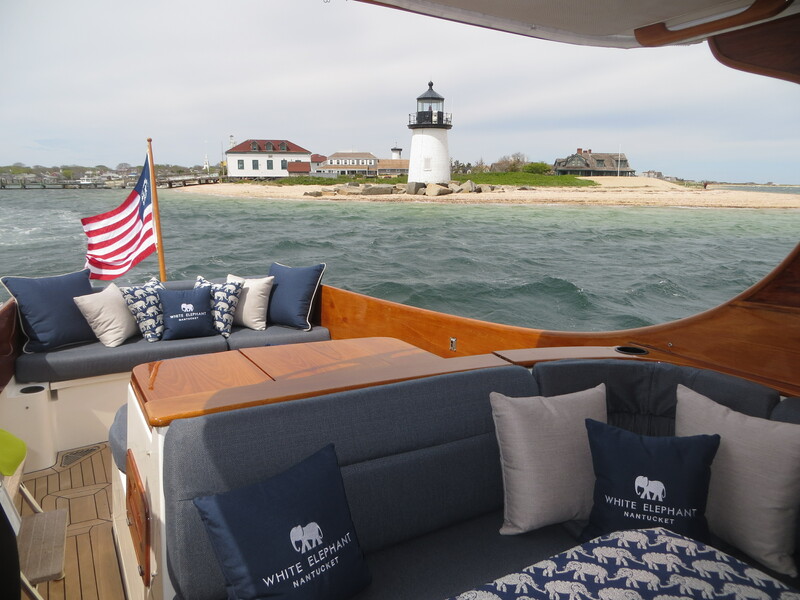 The White Elephant / Barton & Gray Hinckley will be based on Nantucket from May through October 2016, with experiences beginning at $1850 for four hours for up to six guests. 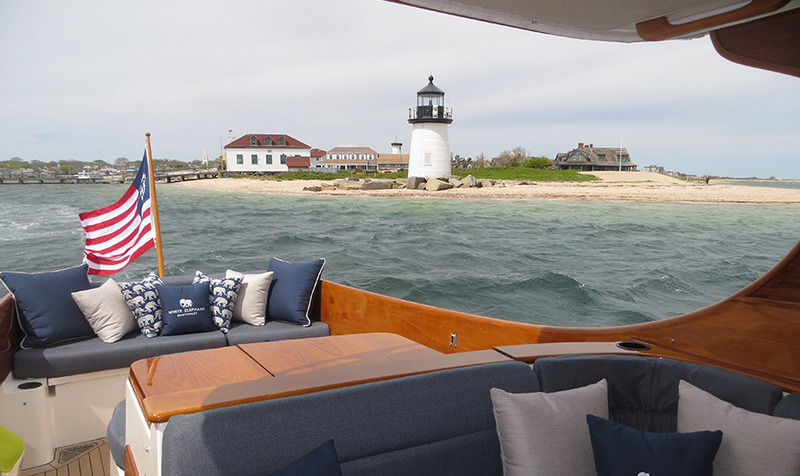 For more information visit here or call 1-800-ISLANDS.